The South Pacific Ocean nation of Vanuatu has banned unrecyclable plastic bags and polystyrene takeaway boxes in a bid to address growing pollution concerns affecting the island nation’s surrounding waters. As of next month, Vanuatu will ban the importation and local manufacturing of non-biodegradable plastics, reported The Vanuatu Independent. Polystyrene takeaway boxes used for food are also covered by the ban which comes into effect Jan. 31. The ban follows a July 2017 announcement by the country’s leader Prime Minister Charlot Salwai that the government would ban unrecyclable plastic bags and bottles. It also comes on the heels of an environmental field study report which confirmed that plastic waste is harmfully polluting the ocean waters around the island nation which has a population of 80,000 citizens. The ban is the first step by the government in improving waste management for 2018. Additional steps to further reduce maritime litter, such as how deal with plastic bottles, are expected to follow. The government will support the public in its switch away from plastic bags to the use of more traditional baskets. Companies have been given a six month’s grace period to use up their unrecyclable plastic bags and polystyrene takeaway boxes that they may have in stock. “The ocean is a natural and dynamic bridge that connects continents to continents and oceanic islands to islands. It is also a bridge between the living and the dead and between people and the marine resources upon which they rely. It is the bridge of life,” says the Vanuatu National Policy. “In this Modern age, people have access to advanced technology and use it to explore and exploit the ocean and its resources more and more effectively and efficiently. The population of the modern age is also growing and the global and local demand to further explore and exploit the ocean resources is very high,” it says. 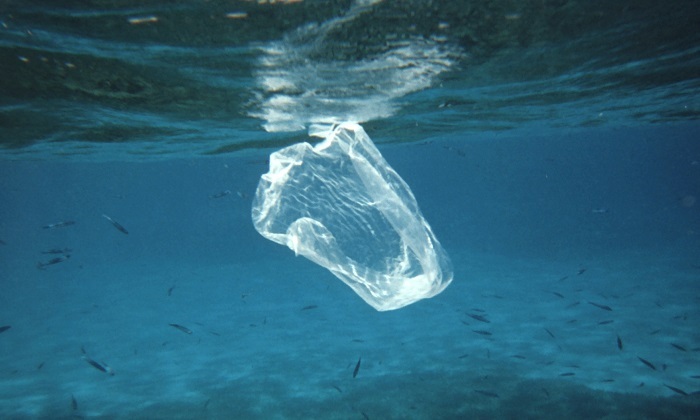 The agency says that more than five trillion pieces of plastic are floating in the world’s oceans and causing damage throughout the food chain.